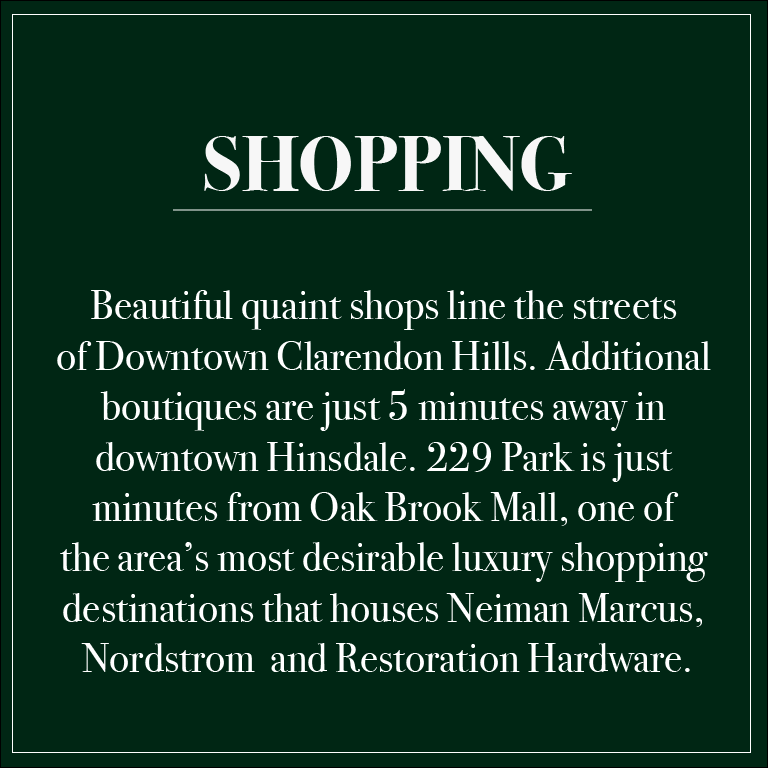 Just a short walk to the Clarendon Hills BNSF train station which provides an express train to downtown Chicago in under 26 minutes. Penthouse level features expansive outdoor terraces. In addition to traditional residences, 229 Park offers carefully imagined Live|Work plans. These plans offer a beautiful street level store front that provide an opportunity to run your business in the heart of downtown Clarendon Hills. From custom visible storefront signage to easy street access, your customers will feel welcome the moment they arrive. If you wish, this first level space can be used as your personal home office or den as well. Upstairs, gracious living space - commuting to work has never been so easy. Timeless kitchens ready for cooking, entertaining and living. soft-close italian custom cabinetry and quartz tile backsplash come standard. Top-of-the-line finishes with clean, neutral and elegant tile throughout. Plank flooring throughout with soft gray paint to compliment the custom crafted color pallet in every unit. Thank you for your interest in 229 Park. We will be in touch soon!